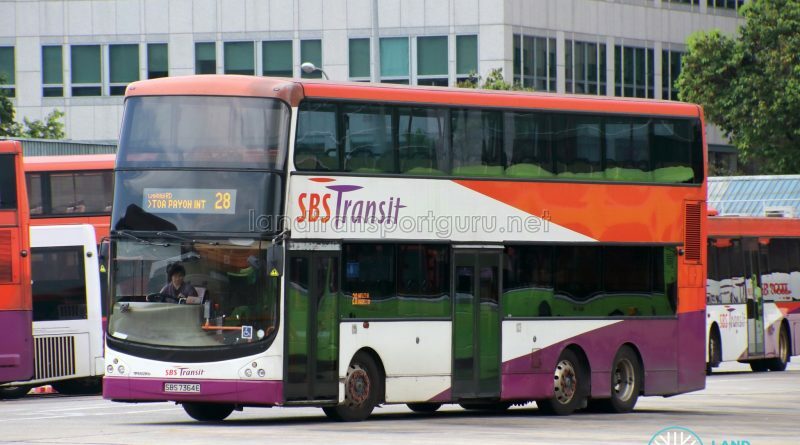 SBS Transit Bus Service 28 is a trunk route between Tampines and Toa Payoh, passing through Tampines East, Bedok Reservoir, Changi Road and Bartley Road. With Services 8 and 31, it is one of three services between these two interchanges. 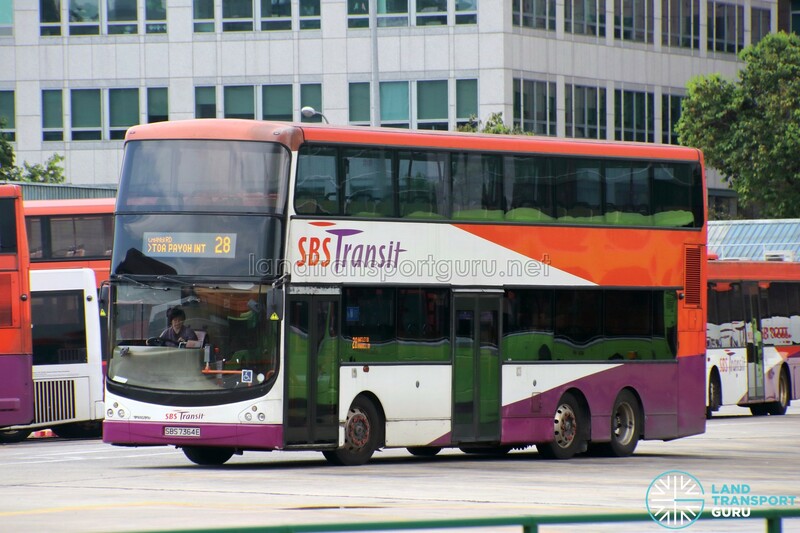 Service 28 is one of three bus services between Tampines and Toa Payoh, along with services 8 and 31. 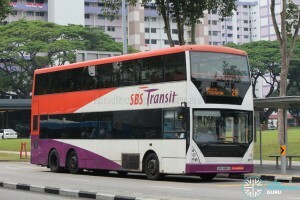 The route connects the residential areas of Toa Payoh, Bartley, MacPherson, Geylang Serai, Bedok and Tampines, while also serving industries around Paya Lebar and numerous MRT stations along the route. Introduced in 1994 between Bedok and Tampines, the route was extended to Toa Payoh in 2000, and amended into its present form (via Tampines St 32, 34 and 45) in 2003. 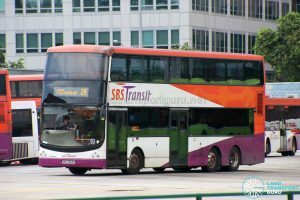 By utilizing Bartley Road and Paya Lebar Road, Service 28 offers a fast connection between Toa Payoh Estate and Paya Lebar/Eunos. In addition, the sector between Bedok MRT and Tampines Interchange is well-commuted, serving many estates along the way with connections to both MRT stations. At the Tampines East side, this service compliments Feeder 293 between Tampines Int and Tampines Street 45. Demand for this service is consistently high throughout the day, notably between Bedok and Tampines. The fleet comprises a majority of double-decker buses. 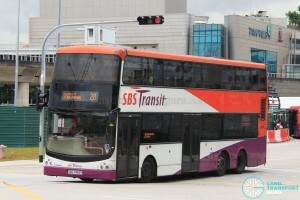 The Bus Service Operating License (BSOL) for this route will be renewed in 2024 under the Tampines Bus Package. 1994 (02 Oct): Introduced between Tampines and Bedok, via Tampines Ave 9. 2003: Amended to present routing. No significant route changes since 2003.